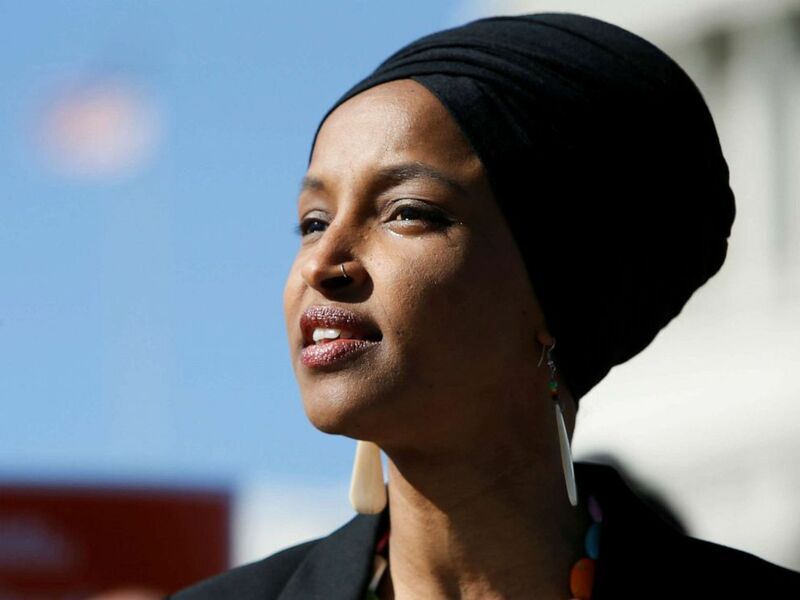 Minnesota Democratic Congresswoman Ilhan Omar vowed her "unwavering love” for America on Twitter Saturday after President Trump and conservatives criticized comments she made about 9/11. "I did not run for Congress to be silent," she wrote. "No one person – no matter how corrupt, inept, or vicious – can threaten my unwavering love for America," she continued, without naming Trump directly. "Thank you for standing with me – against an administration that ran on banning Muslims from this country – to fight for the America we all deserve." Omar went on to say that the 9/11 attacks changed how Muslims are viewed in America, and encouraged Muslims to not tolerate being treated as "second-class” citizens. "First Member of Congress to ever describe terrorists who killed thousands of Americans on 9/11 as "some people who did something. Unbelievable,” wrote Texas Republican Rep. Dan Crenshaw, an Afghanistan war veteran. "The memory of 9/11 is sacred ground, and any discussion of it must be done with reverence. The President shouldn’t use the painful images of 9/11 for a political attack," Pelosi wrote. Rep. Ilhan Omar speaks about Trump administration policies towards Muslim immigrants and her own immigrant background at a news conference outside the U.S. Capitol in Washington, April 10, 2019. Fellow Democratic freshman Alexandria Ocasio-Cortez, of New York, called on Democrats to respond to Trump’s tweet and said that Omar's "life is in danger." "Members of Congress have a duty to respond to the President’s explicit attack today. @IlhanMN’s life is in danger. For our colleagues to be silent is to be complicit in the outright, dangerous targeting of a member of Congress,” Ocasio-Cortez wrote. Sen. Amy Klobuchar, D-Minn., and South Bend, Indiana, Mayor Pete Buttigieg accused the president of inciting hate and violence. "I want to talk about the political influence in this country that says it is OK for people to push for allegiance to a foreign country,” Omar said. Her comments were criticized as being anti-Semitic and accusing some Jewish people of having loyalty to both America and Israel. 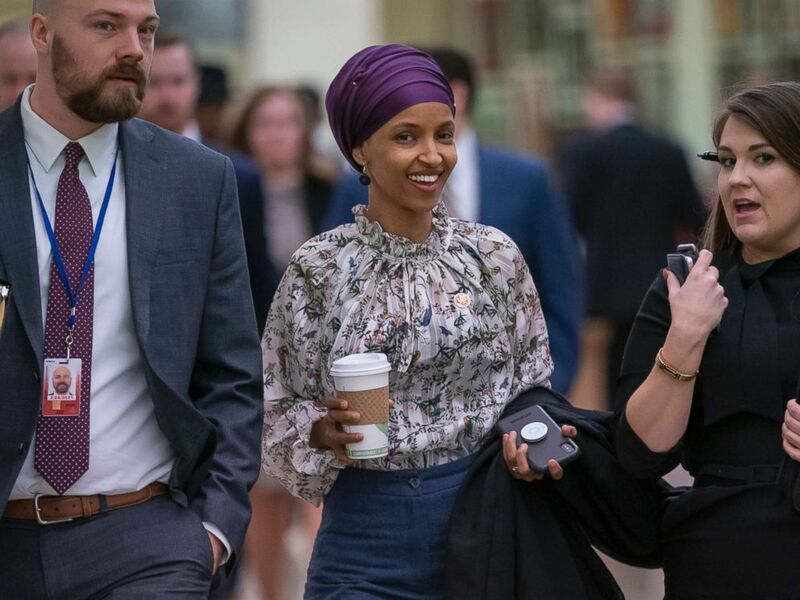 Omar apologized for her comment, but it sparked division among Democrats and even spurred an vote in the House aimed at denouncing anti-semitism, Islamophobia, and homophobia, among other things.